The goal of product slotting is to strike the perfect balance between picking and replenishment labor within your four walls. Create the shortest pick line possible without creating congestion or excessive replenishment. Create a sequence of products so a picker can build his pallet, and not be forced to reshuffle because of the packaging or product characteristics. Picking represents 50% of the labor in a typical warehouse, and half that time is spent travelling from one location to another. If you can shorten that travel distance you’re going to have a big impact on total direct labor productivity. Of course you need to balance this against squeezing items into slots that are not ergonomic or slow to pick from. 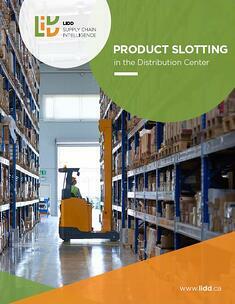 Slotting also affects other aspects of your direct labor functions, such as receiving. For example, if you have to fit items that come in at 60” load height into 40” slots then you’ll need to re-palletize those inbound pallets, which will tie up labor at the receiving dock. Slotting can have the same impact on fork labor. The more pallets you have to put away, the more labor is involved. If you are putting away two pallets for every pallet that you originally received – just do the math and see what that is costing you. Slotting strategy affects receiving, fork travel, picking and even shipping, depending on the quality of sequencing you have on your pick line as well as the need to make sure that the pallet is in good shape and is going to reach your customer in good condition. Want to learn more? 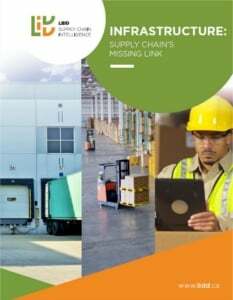 LIDD’s eBook Product Slotting in Distribution Centers gives you a roadmap on how to establish a slotting strategy that will keep your warehouse humming.